It’s the 1st September and we need all of your photographs of your beautifully crafted #minifashionprotest banner hung up in situ by 1st October pretty please. This is so we can turn them into a stunning photo-patchwork to be proudly displayed as part of this years Upcycling Academy at the (enormous!) Knitting & Stitching Show at Alexandra Palace this October and inspire others to be part of the solution to end the ugly side of the fashion industry. 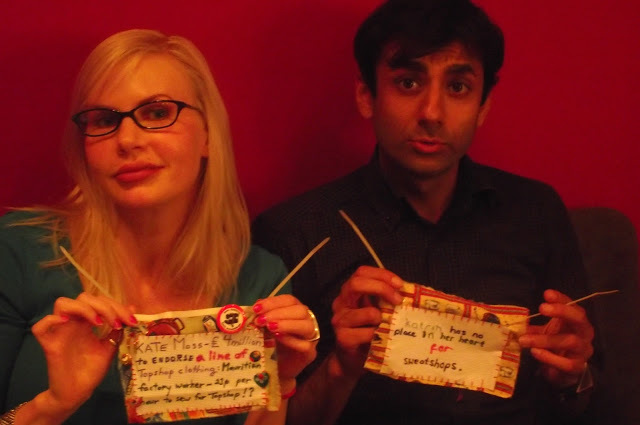 Join other craftivists around the world in fighting fashion with fashion, by stitching your own miniature banners that plea with the fashion industry to stop using sweatshop labor. This campaign joins the War on Want’s Love Fashion Hate Sweatshops movement that pushes for worker’s rights in unsafe conditions in fashion sweatshops around the globe. These beautifully crafted fashioned banners may be small, but their message is big: no garment is worth risking the safety and life of an underpaid worker. The patchwork will be seen by thousands of craft-lovers and students visiting the Upcycling Academy and we really hope that it will inspire them to see that a spoonful of craft really can help the activism go down AND be part of lovingly challenging the fashion industry to end the use of sweatshops and pay their garment workers a living wage with dignified living conditions. 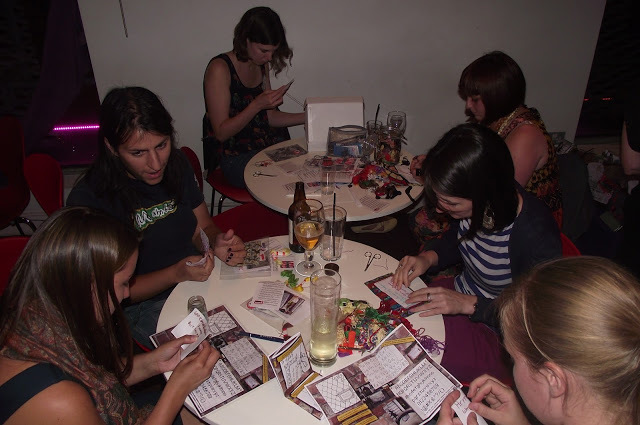 Craftivists at The Make Escape workshop – we had over 30 people stitching their #minifashionprotest banners that night! But to inspire the visitors of the Knitting & Stitching show (as well as the passersby who see your banners hanging up outside fashion shops!) we need generic online pharmacy india your help to make this patchwork as large as possible. London Fashion Week is 13th-17th September this year & it would be great if you could hang up your mini fashion banners during that time whilst the fashion industry it is in people’s consciousness. Please join us in showing your solidarity with garment workers around the world. 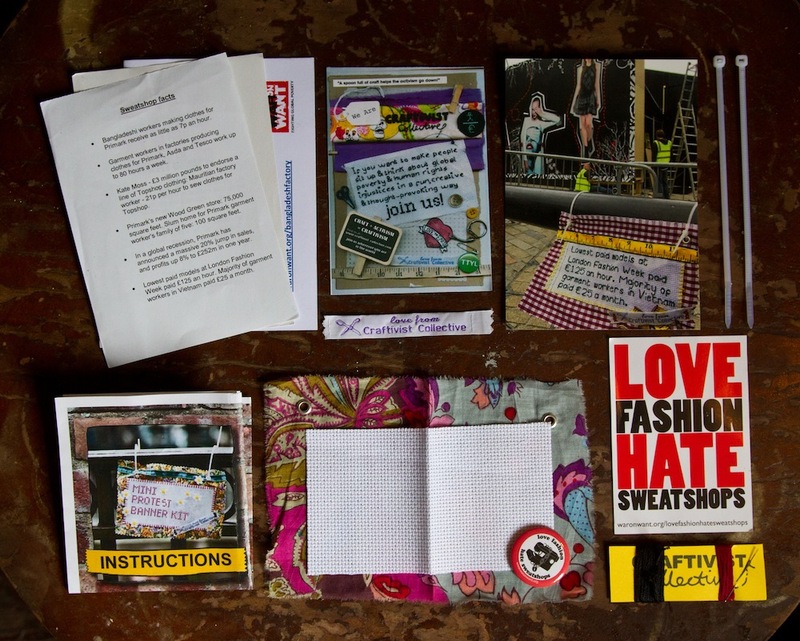 Don’t forget you can buy your #minifashionprotest banner kit from our Etsy shop. It’s been inspiring to see so many people take part already and support this project from all over the world this summer. Here are just a handful of people sharing their involvement in this project from Sweden, Australia & the UK. Reblogged this on Sunnie Swinburn.